So far Gerrish has created 4 blog entries. Thank you so much for the wonderful gifts and gift cards that we received this year for our boys for the Hanukkah. They are greatly appreciated and cherished in our family. It makes it especially special to see the personal touches such as hand made Hanukkah card and to realize that it was probably decorated by other children. We have been lucky recipients of the generous gifts from JCRS for a number of years and every year the gifts brought joy and happiness to our Hanukkah celebration. My husband and I are both immigrants from the Former Soviet Union. We are both Jews, we have 3 sons. The first son’s barmitzva was the 1st in our family since before the Soviet revolution over 100 years ago. He is a high school senior and plans on studying for an engineer. The second son is 12 and has all A’s so far this year, and he also wants to be an engineer , He is preparing for his barmitzva in September of 2017. Our third son is a second grader and appreciates Hanukkah gifts from JCRS the most. We appreciate all the hard work and the expense that goes into making these gifts happen for our family. Thank you so much for reaching out. I am most grateful that this program exists. We have struggled a lot in the last few years. I recently lost our main source of income when my oil and gas job disappeared with the industry downturn. But thank G-d my cancer is gone, I finished all my treatments last March and had my port removed just a few weeks ago. My visually-impaired husband has been steady as a rock through it all. It is my sincerest hope, once our situation improves, that we will be able to give back to the organizations that have helped through these tough times. We were grateful recipients for our 4 children this year and it made their Hanukkah so memorable to be able to have something to open each night, which would never have happened otherwise. There were even some handmade cards, just like we make for our friends’ birthdays, to go along with the already wrapped and sorted gifts. Our kids are unfortunately aware that money is tight, so being able to shower them with meaningful gifts was such a blessing for them. Last year, I literally cried upon receipt of the mountain of gifts for our children. I am proud to say that the kids asked to light the menorahs each night because they knew that they each had a gift of some kind to open. This year the gift cards were such a bonus to be able to get them exactly what they needed and wanted most. We can not thank you enough for the generosity of the gifts, time, energy and thoughtfulness that putting this operation together must take. Thank you so much for the miracle of making this Hannukah so joyous for our children. The JCRS has been helping my mom the past number of years make my Hanukkahs very nice, more than very nice. She really can not afford much, as she is single and we have not had communication with my father for as long as I can remember. He is not a part of our lives and he has not given my mom our due child support in over 10 years. My mom does not see fit to try for it anymore since she just works extra hard to give us what we need and most grateful she has primary custody of both my brother and myself. For the JCRS to continue to support us is really amazing, so I just wanted to really and truly thank you and let you know how much it means to my family. I know that you all are also helping my brother with college funds and there really are not enough thanks for all. What my brother and I do as we have learned from my mom, is to try to make the people who are so giving proud of us and worthy of THEIR support. 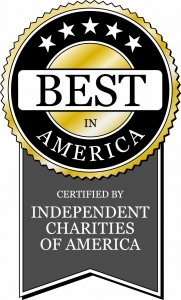 My brother and I have worked most hard at our schools, in the Jewish community, and in city programs to always give back to others and do lots of mitzvoth all the time. I really thank you for all of the cool gifts. I especially loved all of the sports stuff, my favorite being the book about the Longhorns because all of my family went to UT, and now my brother is there. Thank you and everyone at JCRS. 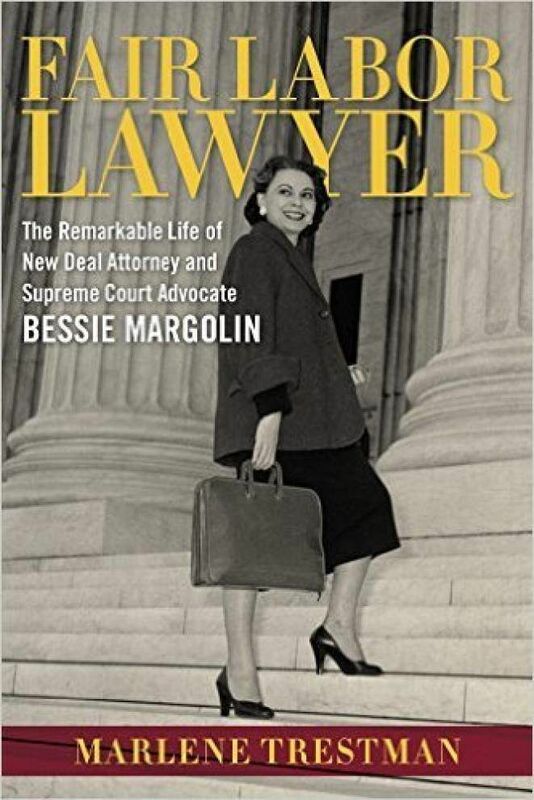 Read an article about Marlene Trestman, author of “Fair Labor Lawyer: The Remarkable Life of New Deal Attorney and Supreme Court Advocate Bessie Margolin.” Bessie Margolin was a pioneering lawyer who argued in front of the Supreme Court, drafted rules for the American military tribunals in Nuremberg, and provided key elements of the Fair Labor Standards Act of 1938. Read the full article in The Advocate.